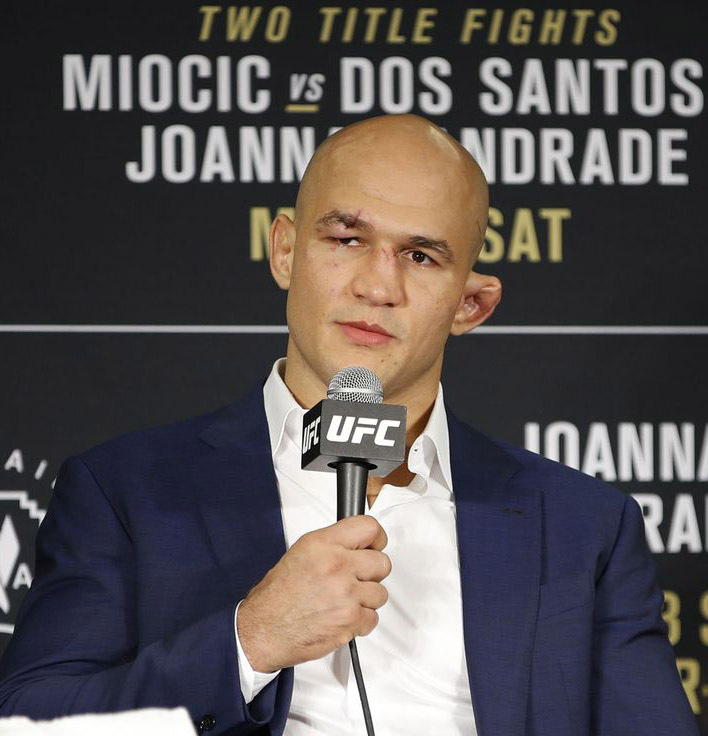 MMA Ratings: Junior dos Santos Has Been Cleared By USADA, So Now What's Next? Junior dos Santos Has Been Cleared By USADA, So Now What's Next? Earlier this week, USADA cleared three Brazilian fighters of any wrongdoing after each tested positive for banned substances. 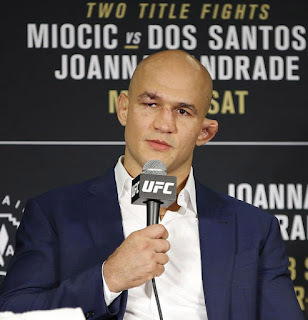 Due to contaminated supplements, the three fighters, Junior dos Santos, Antonio Rogerio Nogueira, and Marcos Rogerio De Lima, accepted six-month sanctions based on their positive test results. It's the best possible outcome for all three fighters, who could have been looking at suspensions of up to two years. Now, all three men will be able to fight again very shortly. That's great news for the UFC and its matchmakers, as all three fighters should deliver some great bouts for the fans in their respective returns to the Octagon. While the additions of Little Nog and De Lima are good news for the UFC light heavyweight division, which badly needs quality fighters, the one fighter whose return I'm most interested in is dos Santos, the former UFC Heavyweight Champion. JDS was supposed to fight Francis Ngannou last September at UFC 215 but was pulled from the bout by USADA and has been sitting on the sidelines ever since. The heavyweight legend's return makes the heavyweight division even stronger at a time when 265 lbs has been looking deeper than ever, with a dominant champion in Stipe Miocic, veterans still fighting at a high level like Alistair Overeem, Fabricio Werdum, and Mark Hunt, plus numerous up-and-comers like Curtis Blaydes, Alexander Volkov, Justin Willis, and Tai Tuivasa. It's fair to say that heavyweight is healthier than it has been in years, and it should only get better now that JDS is returning to the Octagon. So now that JDS is back, the first question that we should ask is who should be fight? There are a few choices for him. First off, we have to assume JDS wants to come back soon, considering he was training and ready to compete last September before USADA pulled the rug out from under his feet. So we can immediately write off anyone who has a fight currently booked. I'm only going to consider fighters without a bout for his next opponent. I still think the fight that makes the most sense is a rematch with Werdum. The pair previously fought at UFC 90 in October 2008. 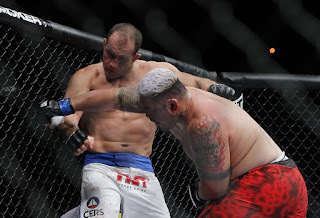 JDS was making his UFC debut in that fight, while Werdum was considered one of the heavyweight division's top fighters. But Werdum showed up out of shape to the fight and JDS brutally knocked him out with a vicious uppercut. A rematch to this fight a decade later, after both men have tasted UFC gold and fallen afterwards, makes a ton of sense, considering both men are coming off of TKO losses (Werdum to Volkov and JDS to Miocic), and considering both men currently do not have fights booked. But according to JDS in an interview with Combate, although he wants the fight with Werdum, he doesn't feel like Werdum will take it. Hopefully the UFC can find a way to book the fight. The next guy who comes to mind is Volkov, who recently knocked out Werdum for the biggest win of his career. Volkov is a perfect 4-0 in the UFC, and has looked amazing since leaving Bellator, but he wants a title shot against the winner of UFC 226's Miocic vs. Daniel Cormier. I personally feel like Volkov should take a fight in the interim because that fight is a long time away, but it seems like Volkov is content to wait. We'll have to see what the UFC says about that, but if the promotion can book this fight it makes a ton of sense. JDS told Combate in that interview that he wants Volkov if he can't get Werdum, so we'll see if this is a fight that happens. And finally there's a possible rematch with Hunt. JDS brutally knocked out Hunt back at UFC 160 in May 2013 with a spinning wheel kick, and a rematch would be interesting, considering both men are getting up there in age and damage taken. At the time of that first fight, JDS was far above Hunt, but at this point in time five years later, both men are on a closer level. I still think JDS wins this rematch, and don't consider it as intriguing as a rematch against Werdum, but if Hunt wants to fight soon, then JDS would be the right guy. I'll be curious to see who the UFC matches JDS up with for his return bout. I believe a rematch against Werdum makes the most sense, but fights against Volkov and Hunt work too. Regardless of who he fights in his return, it's just great news that JDS is coming back to the Octagon. The UFC matchmakers now have another pawn to play with in the chess game that is the UFC heavyweight division, and the fans can look forward to the return of one of the most devastating knockout artists in the sport's history.